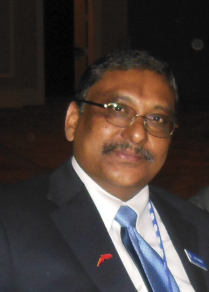 Dr. Suprasad V. Amari is a Senior Principal Reliability Engineer at BAE Systems. He received his B.Tech. degree in mechanical engineering from SV University, India, in 1990. He was awarded the M.S. and Ph.D. degrees in Reliability Engineering from the IIT, Kharagpur, India, in 1992 and 1998, respectively. Prior to joining BAE Systems, Dr. Amari served about 14 years as a Technical Fellow at Parametric Technology Corporation (PTC) where he led the design and development of advanced modeling features and computational algorithms for Windchill Quality Solutions (formerly Relex) Software Product Suite. He has been associated the International Journal of Performability Engineering (IJPE) since its inception and served as Area Editor (Reliability), Assistant EIC,Guest Editor, and Guest Editor. He is a Management Committee Member of the Annual Reliability and Maintainability Symposium (RAMS) and currently serving as the General Chair of RAMS 2017. He received the 2009 Stan Oftshun Award from the Society of Reliability Engineers (SRE), the 2009 William A.J. Golomski Award from the Institute of Industrial Engineers (IIE), and the 2013 RAMS Best Paper award from ASQ Reliability Division for his research works on spares modeling, load-sharing reliability, and optimal design of fault tolerant systems. He is a senior member of ASQ, IEEE, and IIE. He is a member of ACM, SAE International, and SRE. 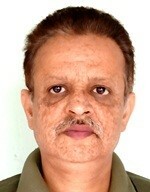 He is an ASQ-certified Reliability Engineer. Of Course, Professor Xing will remain the Editor for Short Communications in 2017.